Headlight is close to our hearts at ForrestBrown. Earlier this year, one of our colleagues tragically lost his beloved 23-year-old son, Max, after a battle with psychosis and an autism spectrum disorder. During his life, Max was supported by Headlight. Now a memorial fund has been set up in his name to support the fantastic work carried out by this charity. To coincide with World Mental Health Day in October, team ForrestBrown undertook a series of events to fundraise in memory of Max and make a difference to other people living with mental health issues. 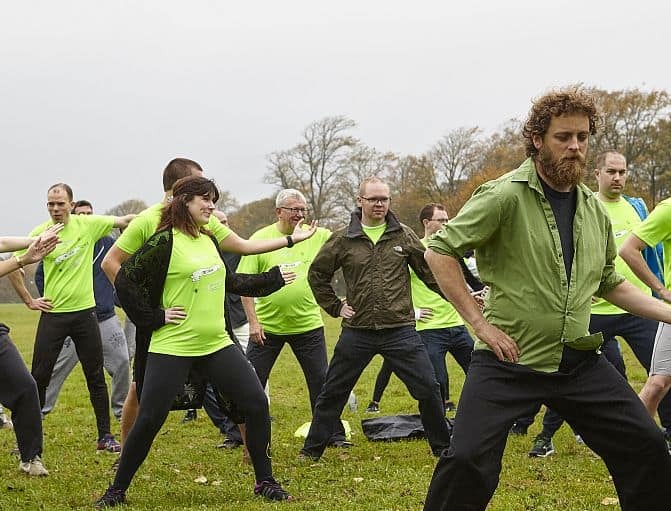 We started off the day with a Tai Chi session on Clifton Down – we weren’t put off by the drizzle! This session was organised by PA and administrator Michelle Lang. It gave us all a chance to come together before starting our working day, relax and clear our heads. Take a cake and donate! Tax isn’t all we excel at here at ForrestBrown – in fact, a few of the team are aspiring Bake-Off entrants. 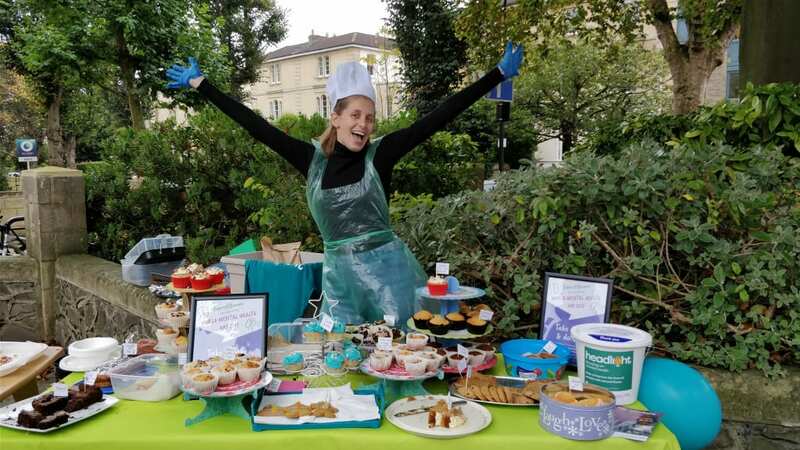 Ryan Davy, our partnership manager, organised a fantastic bake sale, offering biscuits, cakes and savoury treats to passers-by of our Whiteladies Road offices in return for a donation. The team braved the rain (again!) and managed to raise nearly £350. With the focus on this year’s World Mental Health Day being mental health in the workplace, we wanted to equip ourselves with the tools to handle daily stresses. We spent the afternoon learning about mindfulness; practicing being present and aware, and trying out practical tips. We don’t like to do things by halves here at ForrestBrown, and were keen to make a real difference in supporting Headlight. To do so, we created a very special event: a ‘not-a-pub’ quiz and charity raffle called Mind Matters. 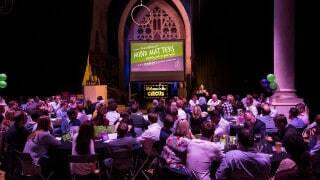 On Tuesday 17 October, more than 150 people from local businesses around Bristol joined us at the beautiful Circomedia (a contemporary circus space) for an evening of pies, pints and prosecco – and most importantly, quizzing! With legendary quiz master, Matt Bambery, 26 teams assembled with their wits sharpened to take on the competition. Throughout the night, we were treated to an incredible aerial display, delicious Pieminister pies and a fantastically conceived quiz. Gregg Latchams’ team finished the night with an impressive win and took home the coveted first prize, followed closely by RSM and then Synergy Creative. A brilliant night was had by all, and to top it off (along with our World Mental Health Day funds) we raised more than £7,000 for the Max McGhee memorial fund, part of Headlight mental health charity – Avon and Wiltshire Mental Health Partnership NHS Trust’s registered charity. Specifically, this money will help to build a new sensory calm down room at Elizabeth Casson House, Callington Road Hospital in Bristol. Patients at this intensive psychiatric care unit require constant observation and this new space will provide a positive, viable alternative to restraint or seclusion. Thank you to everyone that took part in our charity efforts this year. We have been overwhelmed by the generosity of our clients, friends, partners and our local community. Together we have not only been able to fund raise in memory of Max, but also help make a difference to people living with mental health issues. You can help us to support the Max McGhee memorial fund, part of Headlight mental health charity via our JustGiving page.